P2P group has released the updated version of “Karaoke Video Creator”. A popular Karaoke Video Creation software. Description: Karaoke Video Creator is an easy-to-use software to create karaoke songs in video (AVI and MPEG) format. It allows to create karaoke videos from scratch or can import CD+G karaoke songs or KAR (MIDI Karaoke) files (a tool for MIDI karaoke searching on the Web is included). You may use any MP3 or WAV file as a karaoke soundtrack, you may even use Power Vocal Remover to remove lead vocal from many non-karaoke CD recordings. It is also possible to use soundtracks from video files. Our karaoke maker is designed to be as easy-to-use as possible. Step-by-step tutorials will show you how to enter lyrics (or look them up on the Internet), how to synchronize them with music, and how to create karaoke videos in a matter of minutes. 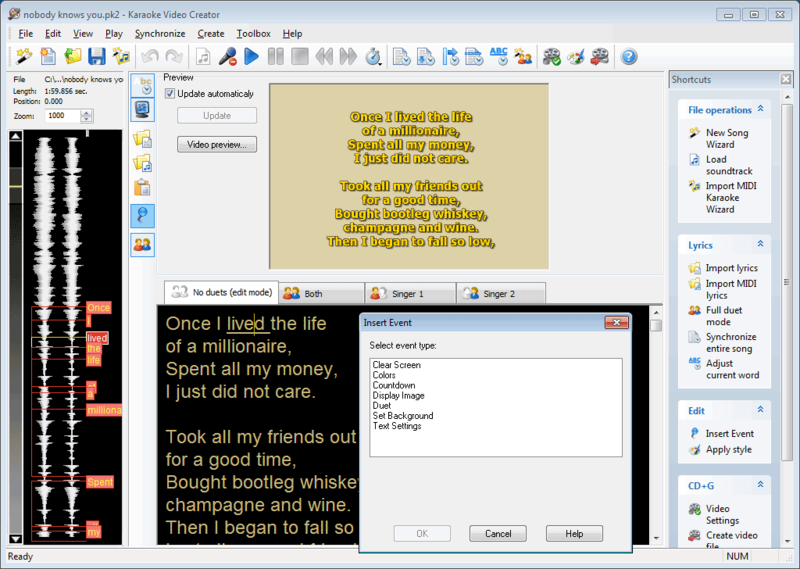 Feel free to post your Karaoke Video Creator v2.4.11 Incl. Patch-P2P torrent, subtitles, samples, free download, quality, NFO, rapidshare, depositfiles, uploaded.net, rapidgator, filefactory, netload, crack, serial, keygen, requirements or whatever-related comments here. Don't be rude (permban), use only English, don't go offtopic and read FAQ before asking a question. Owners of this website aren't responsible for content of comments.